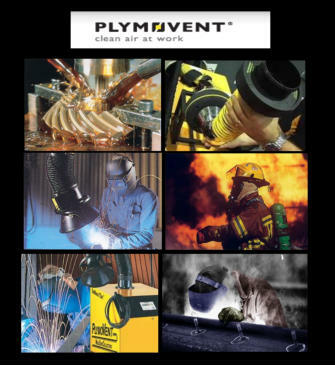 PLYMOVENT ACSNE is proud to represent Plymovent -- internationally renowned for its products for industrial applications – especially in high-heat, abrasive materials conveyance, vehicular exhaust source-capture, and chemical fumes environments. As the leading distributor, installer and service provider of Plymovent air filtration products for fire houses (we installed and service some 1400 firehouses throughout the region), EMS and DPW depots, as well as manufacturing and industrial applications ACSNE provides full turnkey solutions. We are accustomed to producing on time and on budget. Applications for the Plymovent products ACSNE sells, installs and services includes: • Vehicle exhaust extraction • Welding smoke capture and filtration • Oil mist and smoke capture • Filtration dust removal • Filtration We welcome your inquiries. Contact us. Need more information? Go to the Plymovent Web site. NEW: The Magnetic Grabber and Pneumatic Grabber... the ‘click and seal’ nozzle for effective exhaust removal. click for info.